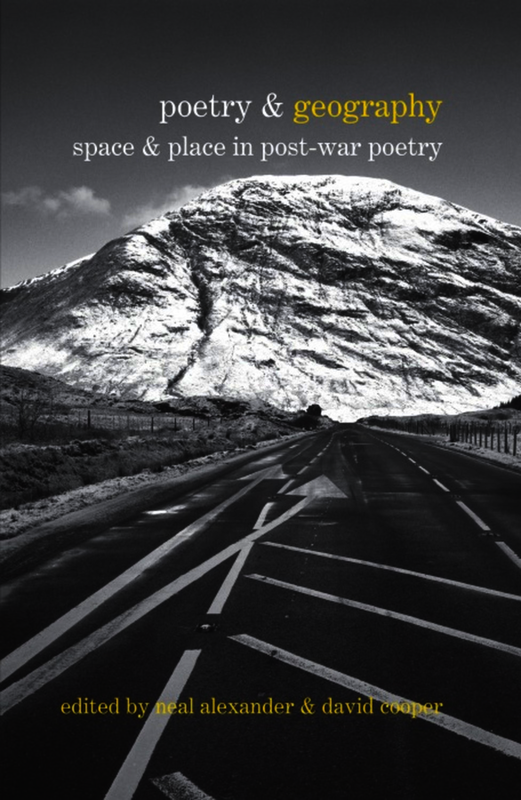 Poetry & Geography examines the rich diversity of geographical imaginations informing post-war and contemporary poetry in Britain and Ireland. Drawing impetus from the spatial turn in the humanities and social sciences, the fourteen essays collected here appraise the significance of ideas of space, place, and landscape for ‘mainstream’ and ‘experimental’ poets, post-romantics and neo-modernists alike. Cumulatively, the book’s varied articulations of poetry and geography sketch out a series of intersections between language and location, form and environment, sound and space. Poetry’s unique capacity to invigorate and expand our vocabularies of site and situation, of our manifold relations with the world outside us, is described and explored. Bringing together fresh, interdisciplinary readings of poets as diverse as Roy Fisher and R.S. Thomas, John Burnside and Thomas Kinsella, Jo Shapcott and Peter Riley, Alice Oswald and Ciaran Carson, Poetry & Geography sketches a topographical map of shared poetic terrains. It contributes to a fertile set of dialogues between literary studies and cultural geography in which the valences of space and place are open to processes of contestation and reimagining. This new collection of critical essays provides readers with a vital set of coordinates in a complex and evolving field. Key themes include: place and identity; literary cartographies; walking as trope and spatial practice; the poetics of edges, margins, and peripheries; landscape, language, and form. Notes on Contributors: Neal Alexander is Lecturer in English Literature at the University of Nottingham. Charles I. Armstrong is Head of the Department of Foreign Languages & Translation, University of Agder. Peter Barry is Professor of English at Aberystwyth University. Scott Brewster is Reader in English and Irish Literature, and Director of English, at the University of Salford. Lucy Collins is Lecturer in English Literature at University College Dublin. David Cooper is Senior Research Associate on ‘Spatial Humanities: Texts, GIS, Places’, a European Research Council-funded project at Lancaster University. Amy Cutler is an AHRC-funded PhD candidate in the departments of Geography and English at Royal Holloway University of London. Katie Gramich is a Reader in English Literature at Cardiff University. Peter Howarth is Senior Lecturer in Twentieth-Century Literature at Queen Mary University of London. Matthew Jarvis is Anthony Dyson Fellow in Poetry at the University of Wales Trinity Saint David. Deryn Rees-Jones is Reader and Director of Graduate Studies in the School of English, University of Liverpool. Peter Robinson is Professor of English and American Literature at the University of Reading. Andrew Tate is a Senior Lecturer in English Literature at Lancaster University. Daniel Weston is a Tutor in the School of English at the University of Nottingham. Dr Neal Alexander lectures in English at the University of Nottingham. He is the co-editor (with Shane Murphy and Anne Oakman) of 'To the Other Shore: Cross-currents in Irish and Scottish Studies' (Queen's University Belfast, 2004). David Cooper is Senior Lecturer in English Literature at Manchester Metropolitan University (MMU Cheshire).